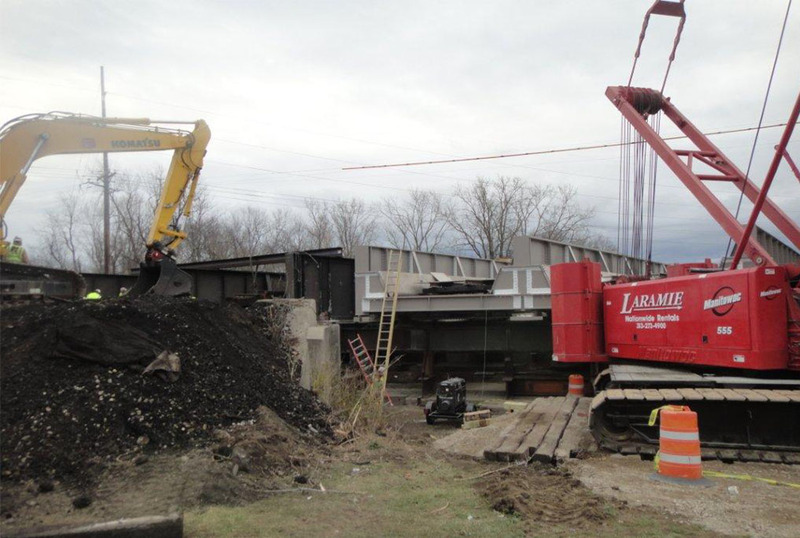 Project scope involved replacing existing double track, thru plate girder, open deck bridge with ballast deck thru girder bridge in a 24-hour closure. 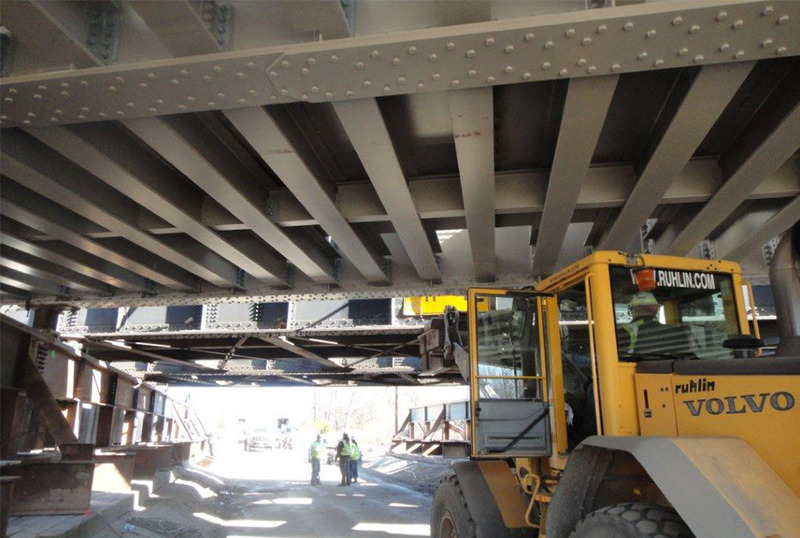 The new 300-ton bridge, including ballast, ties, and rail was erected next to the existing bridge on six Hillman Rollers supported by two 20-ton 150 ft long falsework bents. 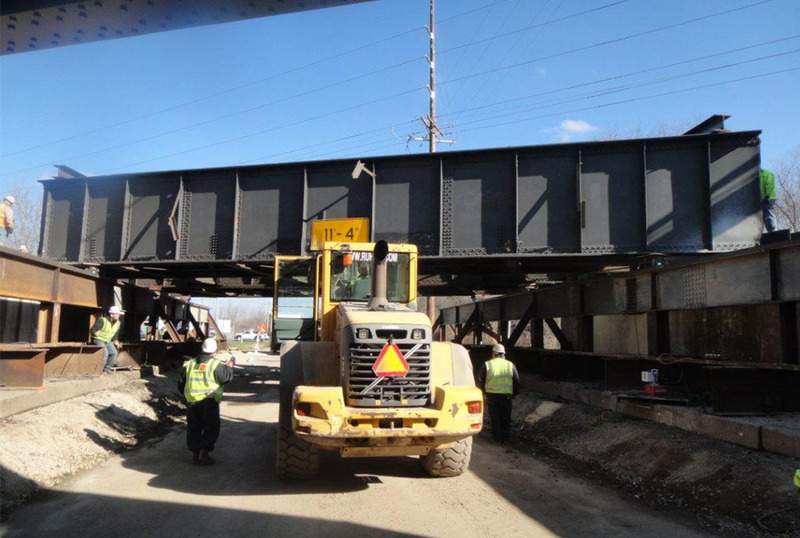 The existing 200-ton bridge was jacked onto Hillman Rollers and pushed out along the falsework bents using a L90 Loader. 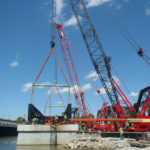 The new bridge was then pushed into position along the falsework bents using a L90 loader, then lowered into its final position using six 75-ton jacks.